To keep their products in the headlines, OnePlus’ releases special variants of their smartphones weeks or sometimes months after launch. With the OnePlus 6T, they launched the Thunder Purple model in China less than a week after the Mirror Black and Midnight Black models were announced. 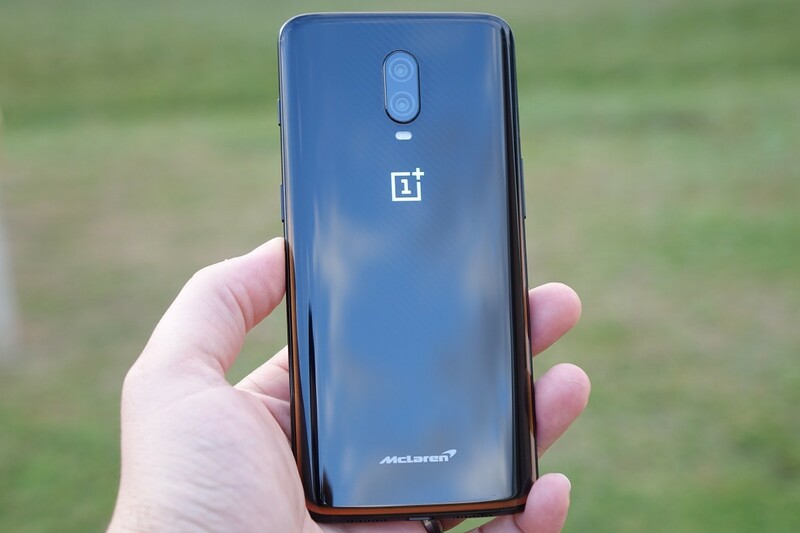 A little over a month later, the company announced the OnePlus 6T McLaren Edition with a whopping 10GB RAM and their new Warp Charge 30 fast charging technology. As you may have noticed during our hands-on, the new model also comes with a new boot animation, wallpapers, sounds, and other themed assets. We’ve extracted the McLaren Edition’s new wallpapers, boot animation, and sounds for all to enjoy. There are 7 new wallpapers from OnePlus in the new McLaren Edition 6T. Here are compressed and resized previews of the 7 wallpapers, but if you’re interested in trying them out we recommend downloading the full resolution (2340×1080) images from the AndroidFileHost link below. We have also uploaded the new video file from the live wallpaper that plays when you unlock the device, but there’s no real way to use it since it’s not part of the stock live wallpaper APK. If you’re interested in downloading the wallpapers from the standard model, we have the links for you in our previous article. OnePlus has included 1 new ringtone, 2 new notification tones (one labeled as a standard and another for MMS), and 2 new camera UI sounds. The ringtone and notification tones can both be used on any device, but changing the camera sounds requires root access since you need to overwrite the existing files in /system/media/audio/ui. We have a tutorial on how to root your device here. The new model ships with OxygenOS 9.0.9 out of the box, which is actually newer than the latest stable version (OxygenOS 9.0.7.) If we find anything else worth sharing, we’ll let you know. Lastly, keep an eye out on our OnePlus 6T forums if you’re interested in a Magisk Module for these new files—I’m sure someone will whip one up soon.